I was having trouble entering my preorder code, kept coming back as invalid.. then later it just worked.. so to others that literally just bought it, got the code and hammered it in immediately into mog station just to find it doesn't work and ... anyways just let it digest on the internet for like 10 minutes and enter the code... also don't use the "copy to clipboard" thing in steam cd key list won't work and might screw up the entry. I only received one code, for pre-order stuff. Which when put in on the redemption website then turn into another code to be put into MogStation. No Digital Collector's Edition code though, I imagine that comes later. This is what I was missing, thank you. I'm going to guess I just didn't scroll down or the second code didn't load for some reason, but things are working now. The process is really redundant, and I know they need to do this for security reasons, but hopefully they can eventually streamline the process. The seas continue to rise while the lesser moon continues to fall, and ilm by ilm, the world becomes ever more unlike itself, without the illumination of knowledge, we but vainly flail as specters in the dark. I pre-ordered it for the PS4 from the website via PSN. I got my confirmation email but no codes. Were there supposed to be codes? I know you found the answer yourself, but I'll post here just in case others have the same question! If you pre-order digitally on PlayStation™Store, you do not need any additional codes. After you've pre-ordered, just launch FFXIV as normal and the game system will recognize the pre-order code, and ask you which service account (if you have multiple) you wish to tie it to. And you're set! The two in-game pre-order items (Aetheryte Earring and Baby Gremlin Minion) will start delivering (tentatively) on March 1st at 12:01am (PT)! After the full game launches, the full Shadowbringers registration will work the same way (standard or Collector's Edition). Launching the game after launch and it'll recognize on the back end that you need to tie your code to your service account. Easy peasy! I actually just picked up the FFXIV Steam collector's edition off of steam. Shows not installed with a check box, however, the game doesn't seem to recognize it after both rebooting steam, updating steam, redownloading and installing steam, as well as launching FFXIV. Didn't see any preorder codes pop up with the CE edition of the FFXIV ShB expansion on steam. I purchased the digital collectors for steam. the code for the early access was granted but not the collectors. I have a feeling the code for collectors will become valid at some point when either early access begins or after when the expansion is officially released. I actually didnt even receive mine yet. Did it come from your email? Or show up as a code through steam on a message on the steam window? Once you have pre-purchased the game, you will be able to view your registration codes by selecting “FINAL FANTASY XIV Online” in your Steam “Library” and selecting “CD key” on the right-hand menu. The codes will always be accessible from this location should you ever need to reference them again. Please note that these codes will only work on Steam FINAL FANTASY XIV service accounts. 1. 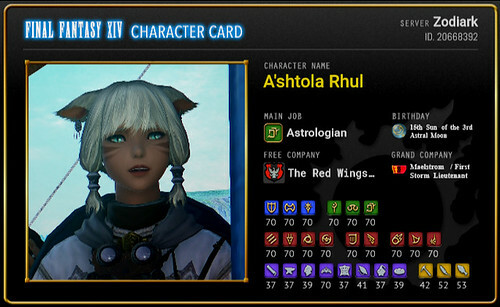 Log in to the FINAL FANTASY XIV Mog Station with your Square Enix ID. 2. Select the "Your Account" menu from the top of the screen. If you have multiple service accounts (represented as tabs), please select the service account you wish to redeem your code on. 3. Select "Enter Pre-order Bonus Code (Early Access Code)", then follow the on-screen instructions to redeem your code! As I mention below - your full Shadowbringers code cannot be redeemed on Mog Station until the official release date. Your codes will stay within that "CD Key" menu until then, so don't worry! Steam users get their full Shadowbringers (standard, or collector's edition) code immediately on pre-purchase. I'm silly, I actually forgot about that CD key thing on steam lol. Thank you! I found it! By any chance, can HW and SB be released earlier than that if I only have ARR and pre-ordered Shadowbringers?